With more than 10 years experience making shade sails Velas Alicante are the leading manufacturers, suppliers and fitters of all types of custom shade sails and sun sails in the Costa Blanca area. 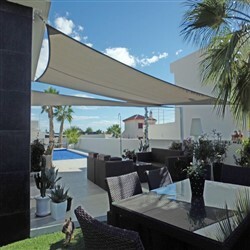 When installing a Shade Sail it is always advisable to use a professional company who will get things right first time. 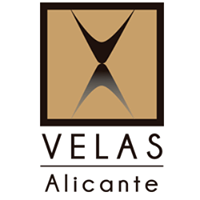 Velas Alicante offer a full design and installation service to give our customers complete piece of mind and we cover the whole of the Costa Blanca region. Sails are Ideal sun protection for home, schools, business and social areas. 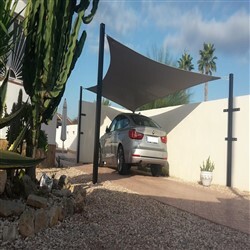 We can create shade for your home patio or garden or shade for covering cars mobile homes caravans, children’s play areas, swimming pools, hot tubs, Jacuzzis. Barbecues, outdoor kitchens and dining areas, the list is endless. Shade Sails can also be used for commercial use, bars, restaurants and public areas. 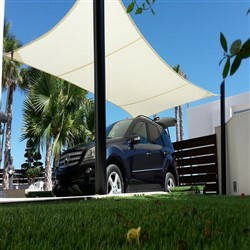 Shade Sails protect you from the harmful UV rays and our products have the APPLUS + quality certificate. Our professional technicians and multi-lingual sales team are happy to help you choose the right solution for your needs with all your requirements both understood and catered for. Everything is made to measure in our factory giving you a quick turnaround on your order. We also offer a two year guarantee on the installation and manufacture of all sails fitted.